Tips for going Green | Eyre & Co. Welcome to Tim’s Tech Tip’s. In this article I will be talking about ways to go green. Lighting – In a few short years you will no longer be able to buy incandescent light bulbs. CFL light bulbs are here to stay. They are a lot cheaper than they were a few years ago and definitely save lots of energy. The next step in saving even more will be the transition to LED lights. They are more expensive right now but as they gain in popularity the price will decrease. Light Wells – Light wells do take a bit more work but the advantage will be that you don’t have to pay for lighting the house in the middle of the day. Of course these will not work if you are trying to install them on the first floor of a two story house. But if you have a one story or access to the roof to the ceiling of the floor that you want to light you can be in luck. Installing these tube lighting systems is not that difficult. Most of the time flashing the tube top to the roofing is the most difficult part, most kits provide all the things that you will need to do this project. Solar panels – Solar energy has been around for a few years now and is it getting to be accepted in a wide range of areas. The best way to do solar is when the house is in the building stage. They can be incorporated in to the design. South facing is the best side of the roof to install them on. Some states allow you to hook you solar array up to the grid and pay you for your excess energy. This works great for making even energy throughout the day and night. Bad thing is when the power is out you only have solar power during the day, no storage device for night time use. These systems are quite extensive and should only be installed by a qualified electrician. Often overlooked but simple is to turn off the lights when you leave the room, why light a room when there is no one in it. I’m starting to sound like my mother, sorry. On these tips they are mainly concerning the outside envelope of the home. Caulking – Caulking can be done in both the interior as well as the exterior of your house. 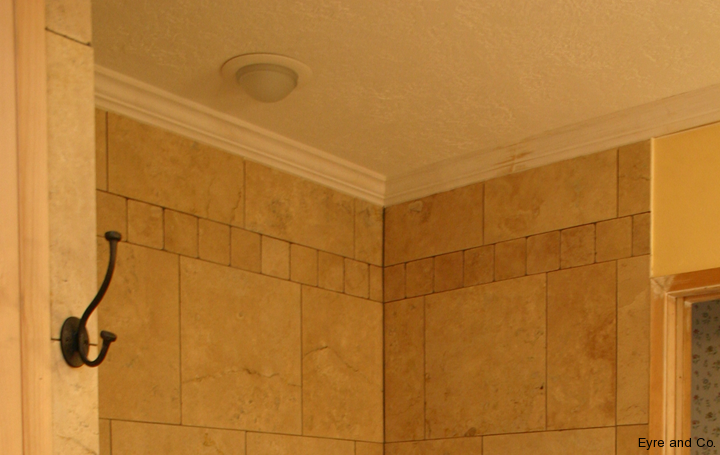 On the interior use a good kitchen and bathroom latex caulking. On the exterior use a Vulkem or paint-able silicone. On the interior for around the windows and doors sealing the window to the trim and the trim to the drywall. Make sure you use small amounts because you want to drag it smooth with your finger to make it look the best, if you apply too much you will just be taking that much more off. If you have finished wood in your house use clear silicone. On the exterior you need to be careful as to where to install the caulking. Your house need to have a place to remove the water that gets behind the siding, otherwise it will just stay behind and rot the walls. The sides and bottom of windows is a great place to caulk but the top should be left alone as it has flashing already and that is a place for the water to get out. The doors are the same way. Under the eaves is a great place to begin, if water can’t get in at the top it doesn’t have to come out. Check for any caulking that is failing and make sure to remove and replace this caulking. Doing these items will keep water and wind out of your house and lessening your heating and air conditioning needs. Insulation – Insulation is one of the bigger investments that you can make. It will help keep your house warmer in the winter and cooler in the summer. R-38 should be installed in the ceiling and walls should be R-21, with floors being R-25. Some state will differ on that rating you need. There are many new insulation products on the market now. Some of the neat green items are recycled blue jean material. These are cut to regular bat size and ready to install just like pink fiberglass insulation. Blown in insulation has its place but they are some of the less desirable choices due to the compaction issues. The new blown in insulation is made out of recycled paper with an additive to make it fireproof. If you have existing drywall on your walls you are limited to blown in or a new foam insulation. These new green foam insulation’s are made out of soy beans and other such material. Double Pane Windows – In older homes you are losing a lot of energy out your single pane windows. Unless they have been taken care of over the years some of the glazing will have fallen out. These types of windows never fit very well to begin with and they have just gotten worse over the years. They are made out of wood and wood will shrink in the summer and expand in the winter, thus not sealing well anytime of the year. Upgrading to new vinyl windows will decrease the amount of weather entering the home and the amount of UV also entering the home, less solar gain the less you have air condition your home. The less heat out the windows in the winter the less you had to heat. For this set of tips we will concentrate on appliances. Appliances – If your refrigerator or freezer is over ten years old it can be pulling a lot of extra energy. The new ones are using a better chemical for cooling and a better insulation for keeping the cold into the box. A new one that I heard is that using the microwave is cheaper than the stove for reheating your left overs. It uses the same amount of wattage but it cooks faster and therefore uses less energy. Solar hot water – The new solar hot water systems use vacuum tubes that the water passes through. The vacuum help in heat transfer rate. These are set up in an array on your wall or roof and the water is transferred to a storage tank where it can be used throughout the day and night. The system is still a bit pricey but well worth it, best installed when the house is being built so that these systems can be incorporated into the walls and mechanical room of your house. Cleaning – I know this does not sound green but it is. Clean out your air ducts and your furnace filters. This will make your furnace work less and be more efficient. Clean your water filter, if you have one, and your faucet filters, if your filter and faucets are clean then the water system does not have to work as hard and it will increase your water pressure in the process. Kill a Watt – Kill a watt tool is a portable meter that you plug in and then plug your appliance into it, leave the appliance on for a while and it will tell you how much energy that appliance is using. Compare and see if it using too much, if it is replace or unplug while not in use. Most appliances use energy even when they are not in use, IE television, phones, chargers, and computers, basically anything that has a remote control or transformer on it. These drain energy 24/7. These are but a glimmer of what can be done to your house to make it a green and sustainable. Thank you for taking the time to read this article and if you need any of these system installed on your home we will be glad to help. 34 mySQL queries in 0.262 seconds.